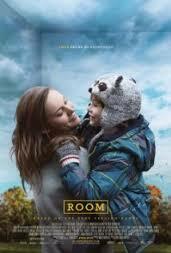 Check out our review of Room, with Mike from War Machine vs. War Horse. Plus, a spirited discussion on the movie industry. I am a big fan of the book and Im glad the filmmakers did it with the kid's perspective, but I do understand your point in that seeing it from the mom's point of view would be just if not more important I feel bad that you had travel a long way to see it. I like streaming, but I agree it does take something away from seeing it theatrically.